Going to school and reaching home in the evening is quite normal. Even though lessons ends around 3pm, I would actually reach around 6pm. Part of the reason is that I am involved in club activities and my involvement in the 生徒会. At other times, I would head downtown (via either the long bus ride or the crowed subway) to by stuff, explore, eat, and other things. 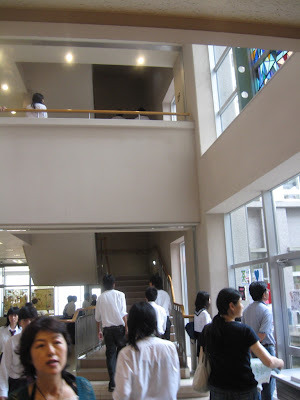 Buying stuff in school, as compared to the nearby shopping area, is cheap, but it would be already be closed when my lessons ends. There are vending machines, but they aren't enough to fill my stomach. Speaking of food, I'm having my lunch break now. I should get going before it gets crowded.